Handmade in Sussex. Available in lovely metal candle tins (shown in the photos alongside the Parkminster Votive candles in boxes which are available separately). 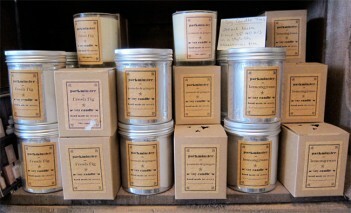 These 350ml Soy candles have a burn time of approximately 40-45 hours.